Activated charcoal is a form of carbon that has been processed for greater absorption of certain compounds. Medicinally, it is used to treat poisonings and overdoses. Consuming activated charcoal allows it to bind to any poisons and toxins in your stomach and intestinal tract so they are not fully metabolized and absorbed. Tablets and capsules of activated charcoal are used in many countries, aside from the United States, as an over-the-counter remedy to treat diarrhea, indigestion and gas. However, activated charcoal is not meant to be taken as a daily supplement. Consult with your doctor about its appropriate use. 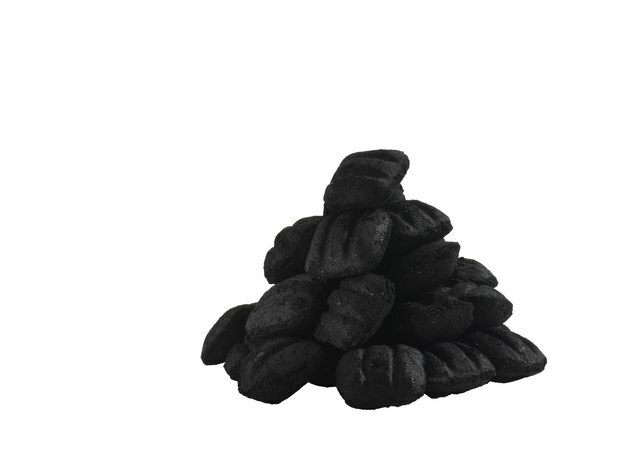 Activated charcoal, also called activated carbon, activated coal or carbo activatus, has been processed to make it very porous with an exceptionally large surface area, which makes it particularly absorptive. According to the book "Medical Biochemistry: Human Metabolism in Health and Disease," activated charcoal absorbs a variety of poisons and toxins, but does not bind well to alcohols, strong acids and bases, carbon monoxide, iron, lead, arsenic, fluorine, boric acid or many petroleum products such as industrial cleaners and lubricants. Activated charcoal is used in gas purification, metal extraction and purification, water purification, sewage treatment, air filters and emergency medical care, according to the "Compendium of Pharmaceuticals and Specialties." It is used in emergency rooms to treat poisonings and oral overdoses of pharmaceutical drugs. The porous carbon binds to certain toxic compounds and prevents them from being absorbed by your gastrointestinal tract. Depending on the type of poisoning, vomiting is sometimes induced before a liquid mixture of activated charcoal is administered. Stomach pumping is another method of removing toxins from your system, but activated charcoal is preferred in most hospitals. The dose is usually 1 gram of activated charcoal per kilogram of body mass, which equates to between 50 and 100 grams for most adolescents and adults, according to MayoClinic.com. Activated charcoal is usually given only once, but depending on the drug taken, it may be given more than once. Subsequent doses are usually half of the initial dose. In rare cases, activated charcoal is used to filter out harmful drug metabolites from the bloodstream of poisoned patients. While activated charcoal is useful for acute pharmaceutical poisonings, it is not appropriate for alcohol poisoning and does not reduce the long-term accumulation of toxins. In the U.S., activated charcoal is only used in emergency situations and is not considered appropriate for regular use because it may adversely affect digestion and gastrointestinal function. In other countries it is used for a wider variety of conditions such as stomach upset and flatulence, but it is still only recommended for short-term use. Getting any activated charcoal into your lungs results in pulmonary aspiration, which can sometimes be fatal if medical treatment is not sought quickly.